How can you NOT love this team!? The chemistry and respect between veteran forward Patrick Marleau and young star players Auston Matthews and Mitch Marner can easily be noticed on the ice when the Toronto Maple Leafs are in action, but the trio of great players has been showing this amazing relationship off the ice as well. A viral video showed Matthews dancing with teammates Marner and Marleau along with Marleau’s children to the 1970s classic “YMCA” by The Village People. On Thursday, their relationship kept getting better as the players commented on what is happening in the Marleau’s household. 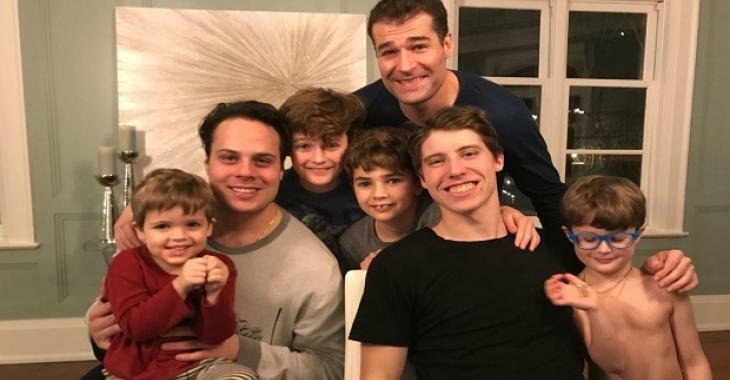 Marner and Matthews’ relationship with Marleau and his family is quickly becoming one of our favourites in the league. Here is what Marner had to say about it, which makes you realize how special it truly is and how it will be long-lasting. And of course, the veteran player replied to the kindness - with more kindness. “They’re guys that are, obviously, really highly talented and the way they approach the game is unbelievable and you want to be around those types of players and people. First and foremost, they’re great people”. The three men seem to have a really solid connection on and off the ice - and with Marleau’s cute sons we can’t wait to see what their Christmas card looks like.